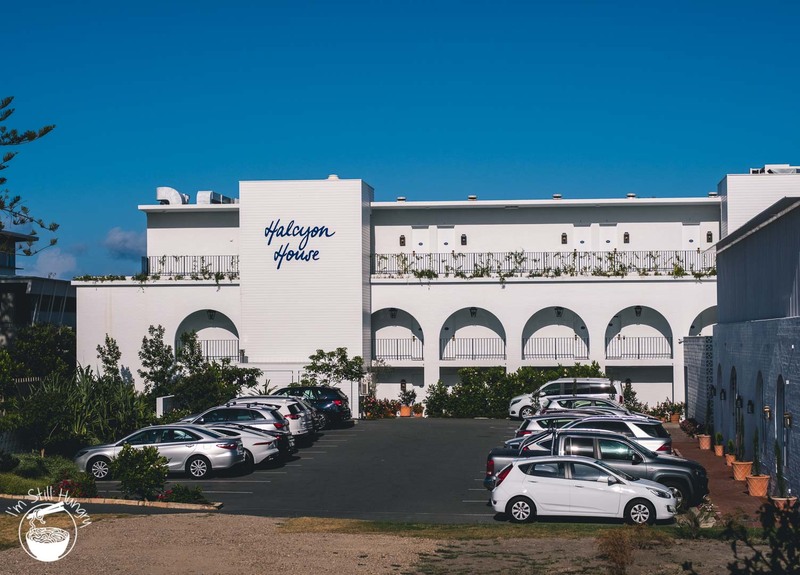 The worst part about visiting Paper Daisy is realising that you should have booked the accommodation too, set in the boutique hotel known as Halcyon House. 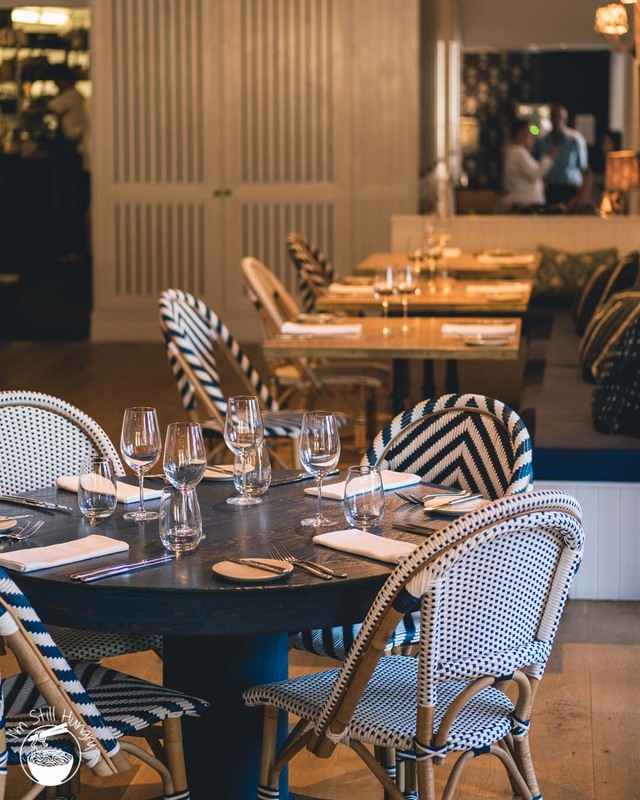 With its pearly white-finish weatherboard facade, luxuriantly-appointed rooms, and broad design brushstrokes of a dwelling on a Greek Island, the hotel restaurant is of rare breed: the kind that manages to fuse high-end trappings with all the relaxed vibe of beach side, alfresco dining, all the while compromising nothing on the plate. 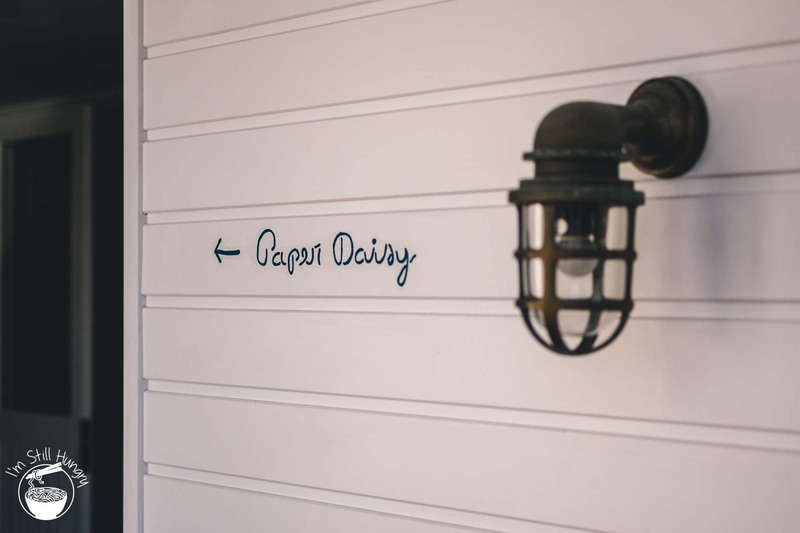 Minimal research effort is required to discover Paper Daisy. 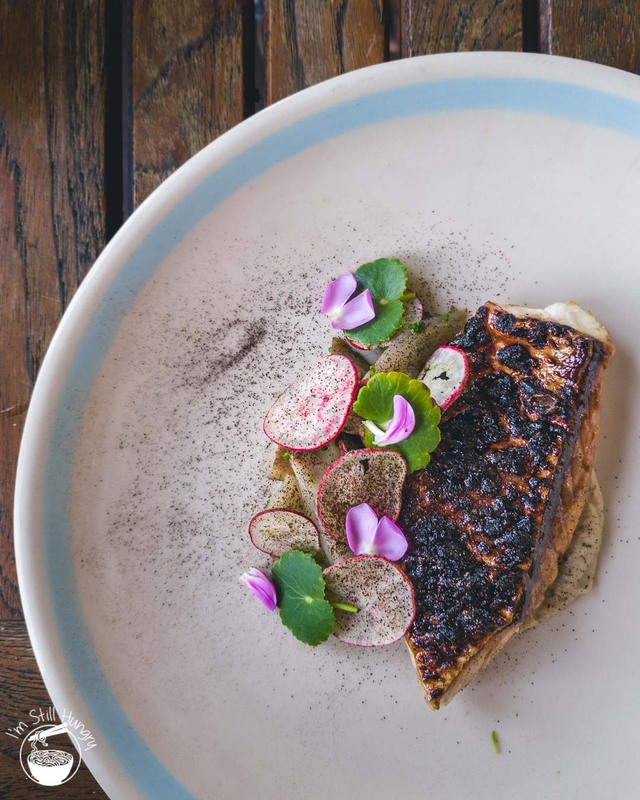 The Cabarita Beach gem is headed by young gun Ben Devlin, previously head chef at Esquire, which was at the time one of only two three-hatted restaurants in Brisbane. That restaurant has since dropped to two hats in the latest Good Food Guide, and while I’d rather not draw conclusions, my dinner at Paper Daisy has made it fairly clear as to where the talent went. Did I mention the man has also worked the pans at Noma? A gun chef: check. 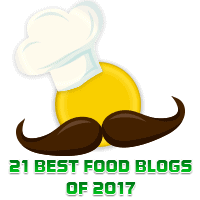 Regional restaurant of the year? Check. 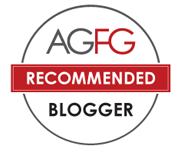 Two hats in the 2018 Good Food Guide? Check. How could you miss it? And that’s even before laying eyes on Halcyon House’s stunning facade. 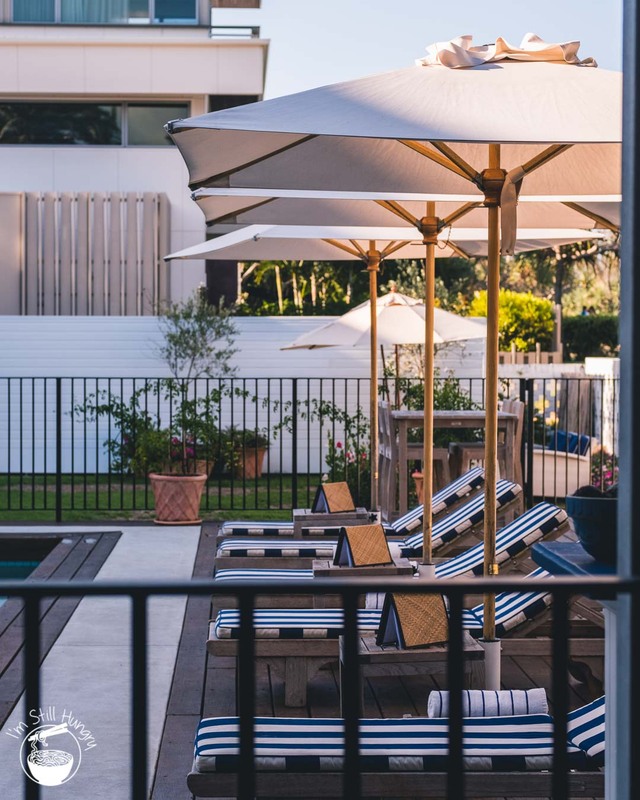 Getting inside reveals similar levels of easygoing luxuriance: naked timbers, canvas settees, polished wood & wicker chairs all with a view of the pool & the pandanus-lined shoreline – if you’re sitting outside like I was – or the highly-adorned dining room interior if inside. 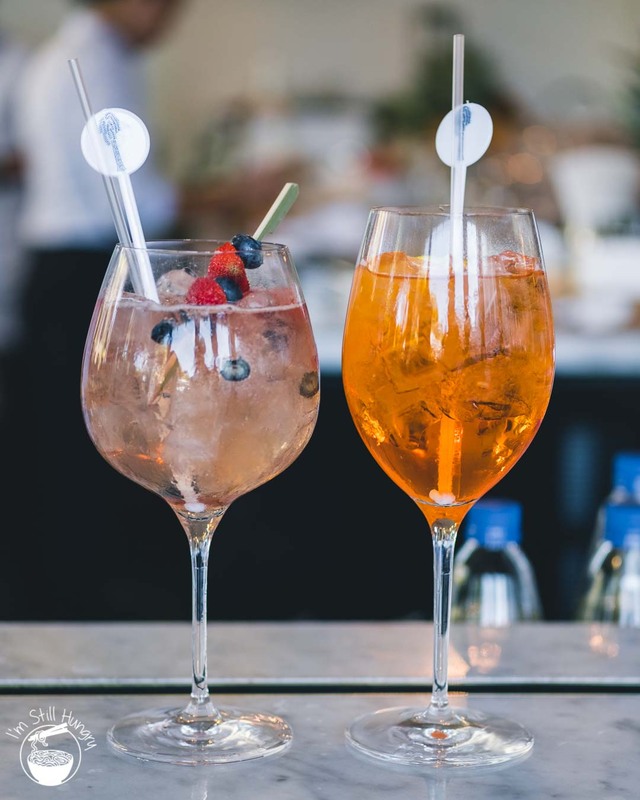 An alfresco bar completes the look, with plenty of cocktails being slung – the Paper Daisy spritz appearing to be the pick of most customers. 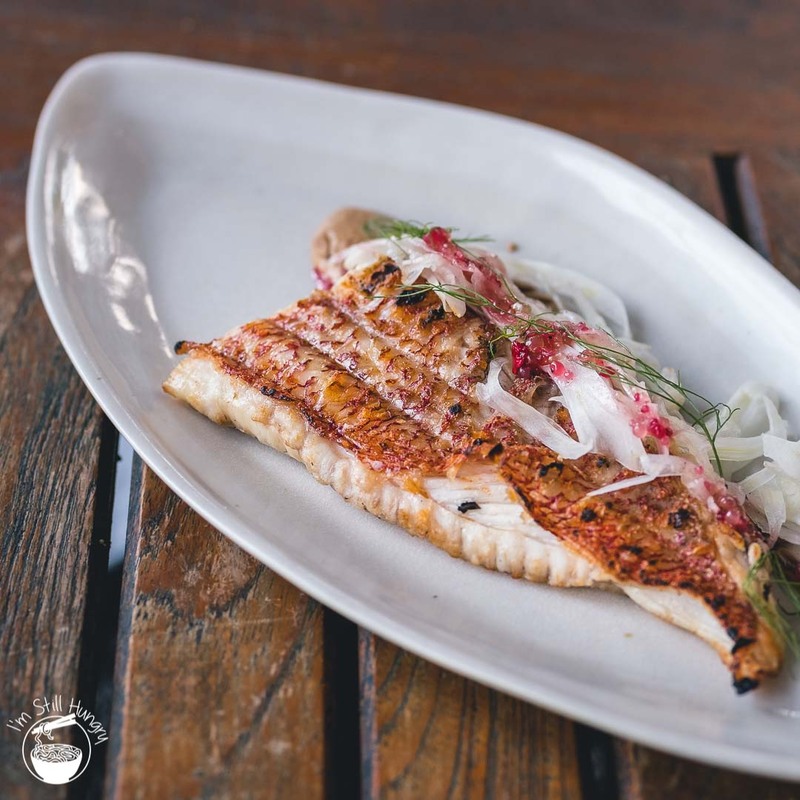 Pursuant to its location and designation as a regional restaurant showcasing – you guessed it – regional produce, Devlin’s taken a step back from gastronomic machinations & manipulations, and chosen to focus on exactly that: the produce. 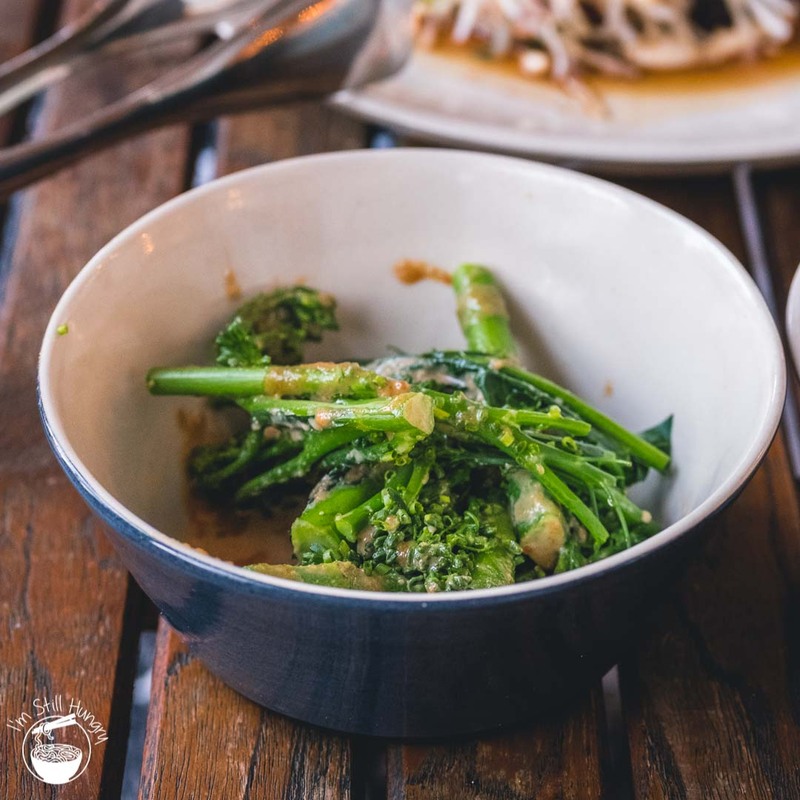 It’s wholesome food, with ingredients being immediately recognisable on the plate – for the most part – presented beautifully, with vibrant pops of colour that satisfy the eye (and camera!) well before the knife even makes its first cut. Australian coastal cooking, as Ben likes to call it. 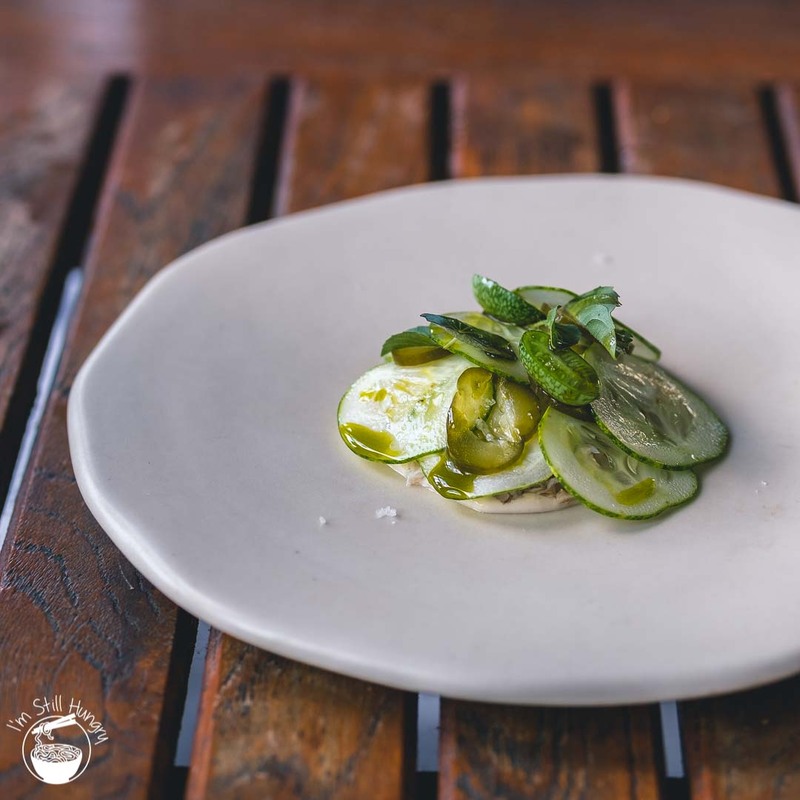 I imagine that this style greatly suits Paper Daisy’s hotel clientele and befits the reason why diners are here: for the very best fresh produce of NSW’s north coast where instead of challenging the palate (as fine dining often becomes), the objective is to please it. A bevy of canape-style starters began the conversation straight away. Potato scallops, flecked with sea salt and kelp powder, was a crunch-tastic standout. It was served with an oyster dressing not unlike a thousand island but with more mollusc oomph, not that these blingy hash browns needed the extra flavour bomb. 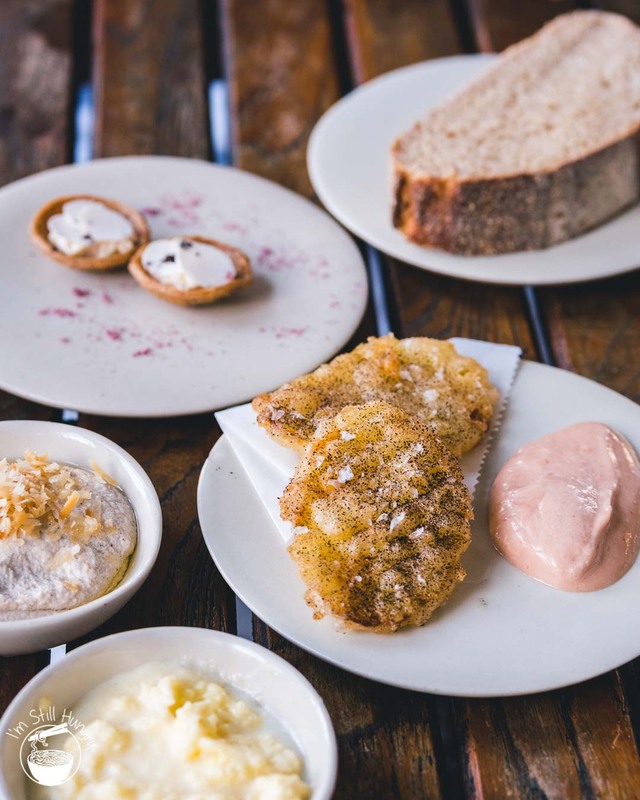 House baked sourdough, served warm, was also a hit, and Devlin couldn’t help but introduce two types of ‘butter’ – one made out of macadamia and wattleseed, as well as a cultured kefir butter. It’s either going to be nutty & toasty (albeit a bit grainy), or creamy and citric, depending on your pick. Both, however, are delicious. Unripe macadamias, not often ascribed as falling under the ‘edible’ category is exactly that: full of raw crunch, and with far less oiliness, supplemented by friable savoury shortcrust pastry. 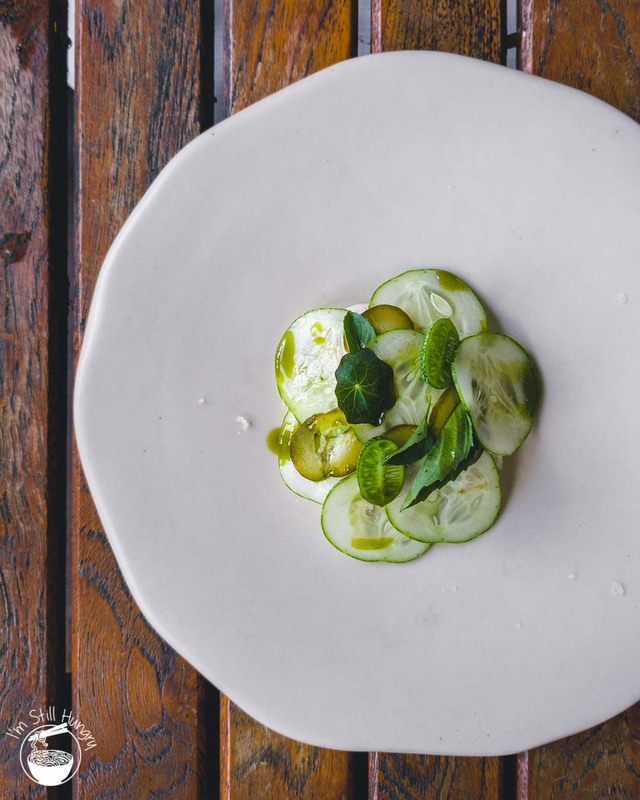 Starter courses of grilled baby zucchini and scallops and cucumbers w/smoked almond land at the table and the immediate thought is ooh, that looks fresh, an expectation that’s satisfyingly teased out with both plates. 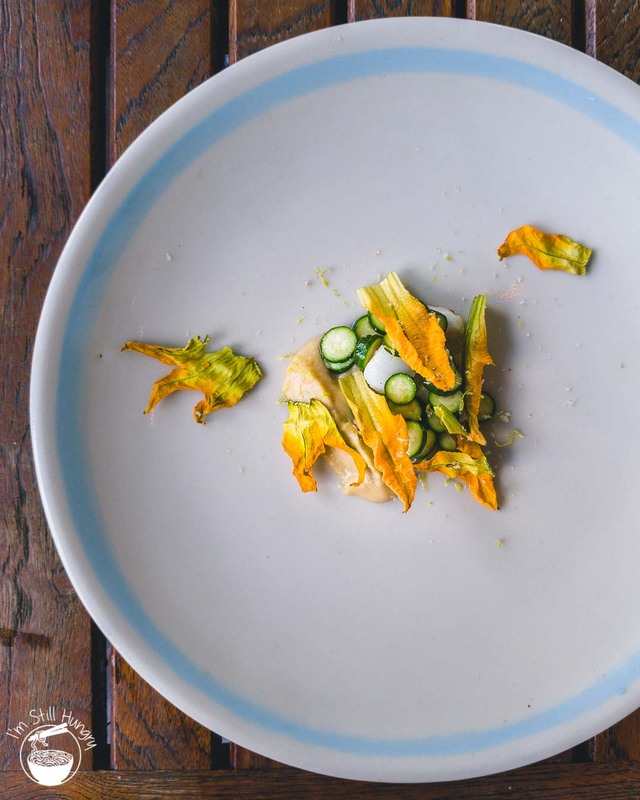 The zucchini, perhaps somewhat superfluous, gave way to beautiful, flame-kissed scallop bits redolent with just the right amount of char whilst exhibiting its sweetness to its utmost, was a clear case of a ‘please sir, may I have some more?’ The cucumbers? 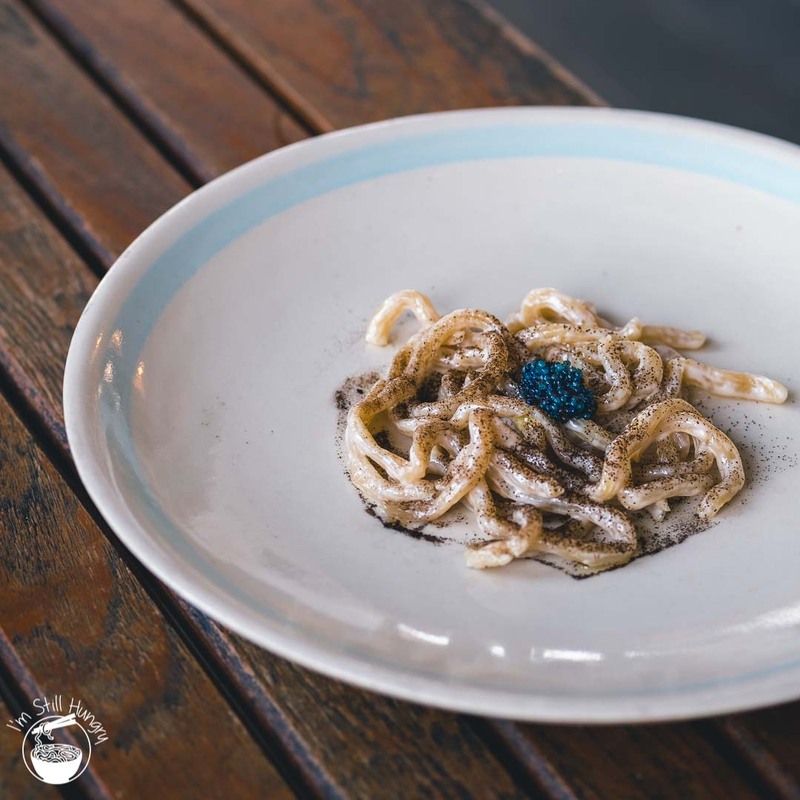 Fresh, fresh fresh, and initially seemingly boring – until it too revealed a delicious medley of spanner crab that’s almost like an umami, liquorice-like cream. Who would have also thought that smoked almonds would bring such an intense fresh grass-like character to the dish? Clever, well-thought out. 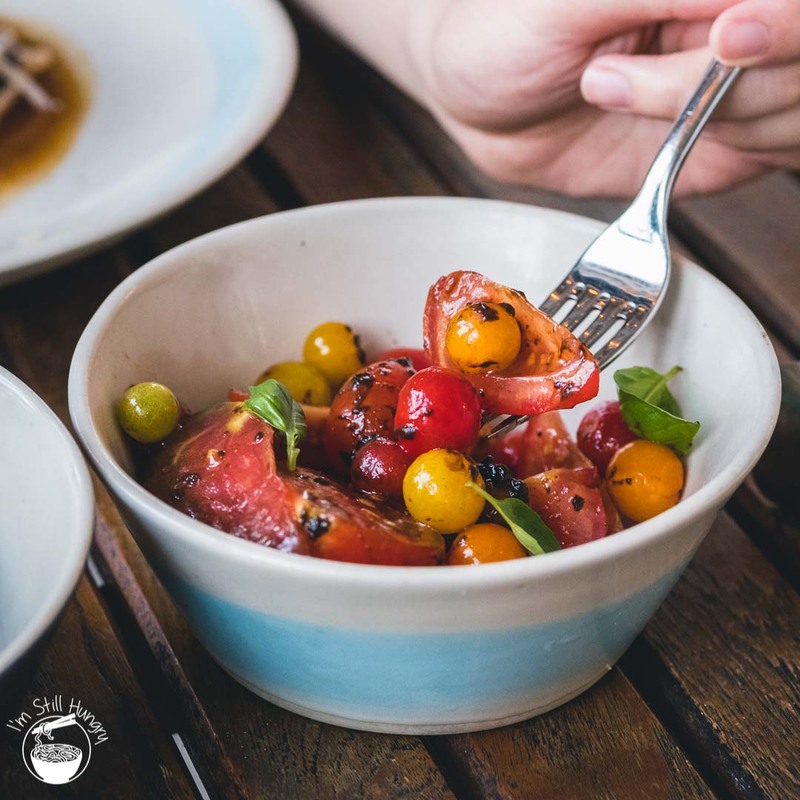 If you haven’t gathered from the starters, nuts – particularly macadamia nuts – are a point of pride for the north coast. 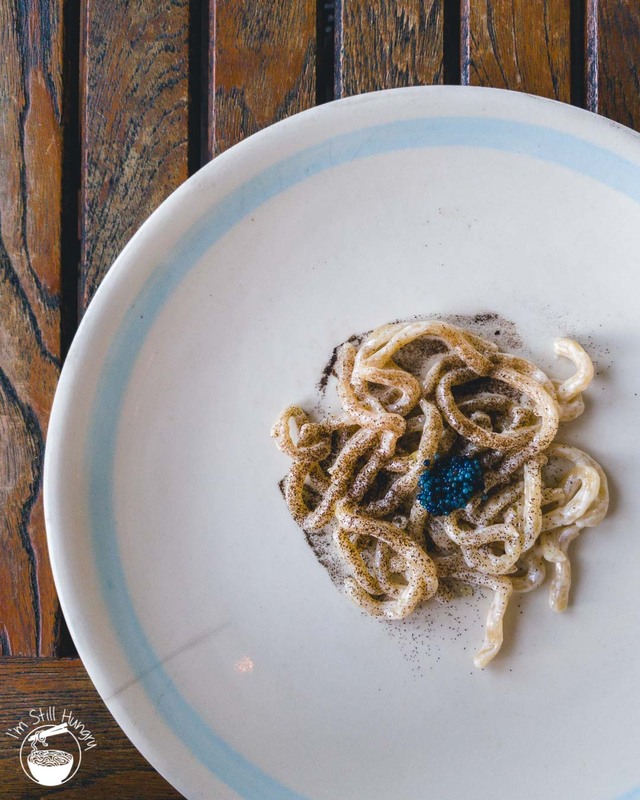 The highly convincing looking macadamia noodles w/scampi caviar was Devlin’s way of showcasing ‘Australia’s Nut’, with a one-time use of the fine dining transmutation spell. It was surprisingly good, not dissimilar to udon but harder, with good flavour coming from the scampi roe. Alas, it was perhaps overly one-dimensional: all nuts and no play, with an oily dish the result of the day. Not so with the coal roasted red emperor. Notwithstanding a sloppy kitchen error resulting in a piece of torn-off skin, this almost main-sized dish was in its element and demanded attention. The usual suspects were well-addressed – tender flesh, charred skin. But the element that left the biggest impression? The sunflower seed & finger lime-infused sauce. Nutty, and so refreshingly Australian. Devlin runs the mains in the same tight ship as he does the entrees. 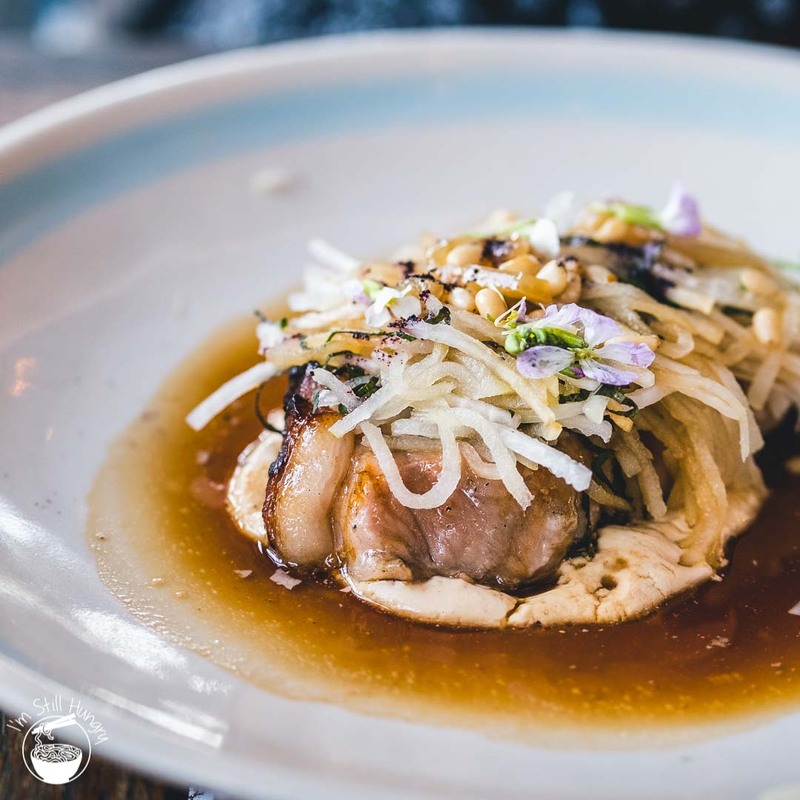 The succulent aged pork loin, backed by a sweet & nutty macadamia puree, was a specimen that I can confidently say is likely to be one of the best pork dishes I will have this year. Nitpicking mode is required: a portion size reduction could be nice, and the sweetness of the dish does get a bit too much after the first few pieces. Sometimes the operation might be run a little bit too tight: the kelp roasted fish main is actually the same red emperor first seen in the entree section. But while there was clearly a lost opportunity on showcasing some of the east coast’s other swimmers, it did allow for a rare glimpse into how the same fish is recycled in two different ways. This snapper knew how to hold its ground: it looks stunning. This is what its coal-roasted counterpart should have looked like. In taste? Equally so. 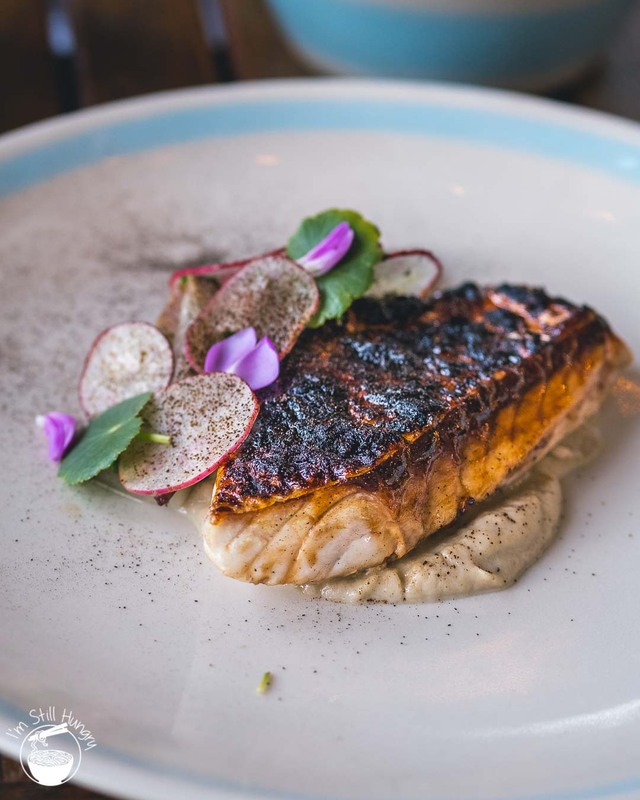 The skin is better, more primal, with a far more intense flavour, though the red-skinned fish retained its condiment crown – it’s hard to beat that sunflower seed genius. If there was to be a mixed bag that’s bigger than just a quibble, it would unfortunately be at the point which matters most – dessert. But the good stuff first: a genius creation of grilled sweetcorn & carob was a textural medley that simultaneously evoked toasty popcorn movie nights, grilled sweetcorn at a country fair, and happy baking accidents. 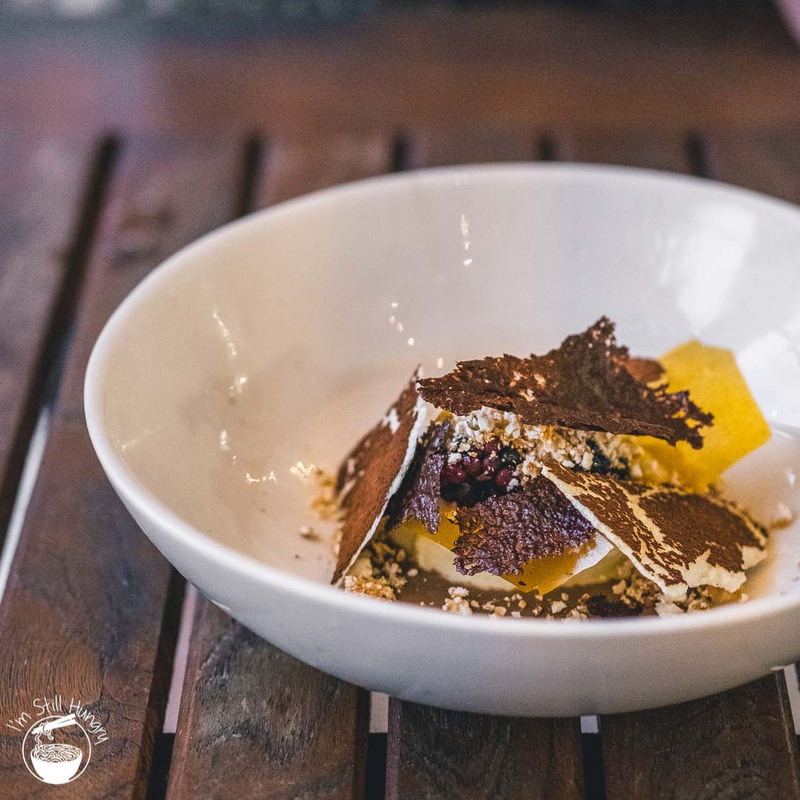 An almost savoury style of dessert, this is almost too sophisticated, but I loved it. But then we come to the chamomile granita w/almond & peach leaf sorbet, and it’s simply flat and uninspiring. 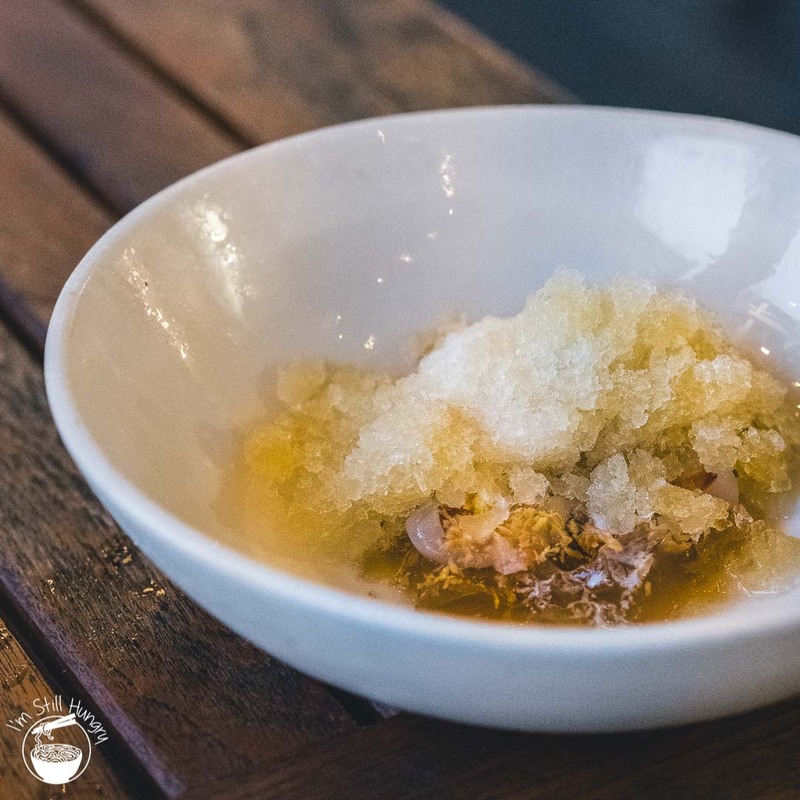 The granita lacked flavour, the chamomile-infused jellies were subtle on the precipice of irrelevance. I could have simply ordered a herbal tea instead. The peach sorbet was one solid attempt at a lifesaver that failed in its job of actually rescuing the dish. Another one of the sweetcorn, please. 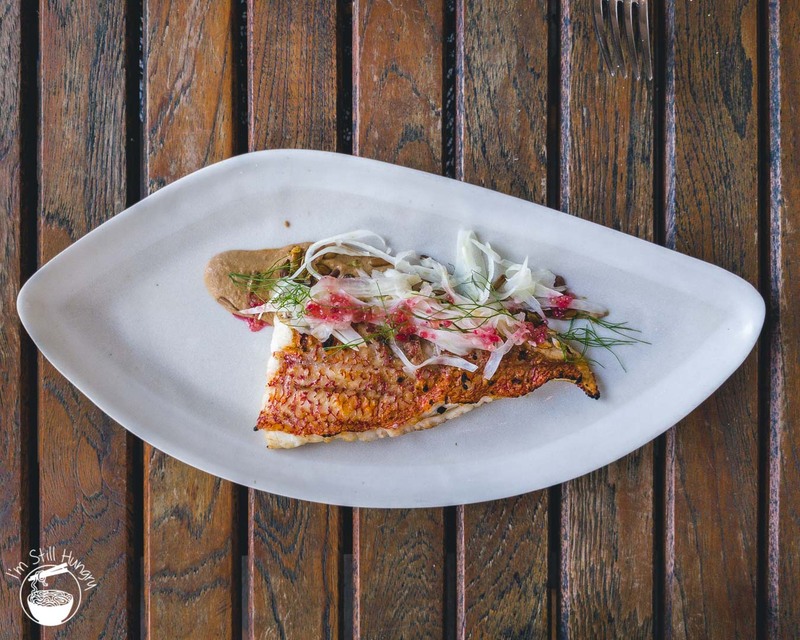 ‘Build a restaurant hundreds of kilometres from any major cities, and make it so good, that people from those cities will drive/fly down just to eat here’. A tall order. Paper Daisy certainly met the brief for my singular experience. However the lacklustre dessert, plus some service quibbles (miscalculated bill, champagne not being poured in front of the diner, dishes set down with little explanation) meant that the experience isn’t completely wholesome, though that can definitely be said of the savouries. 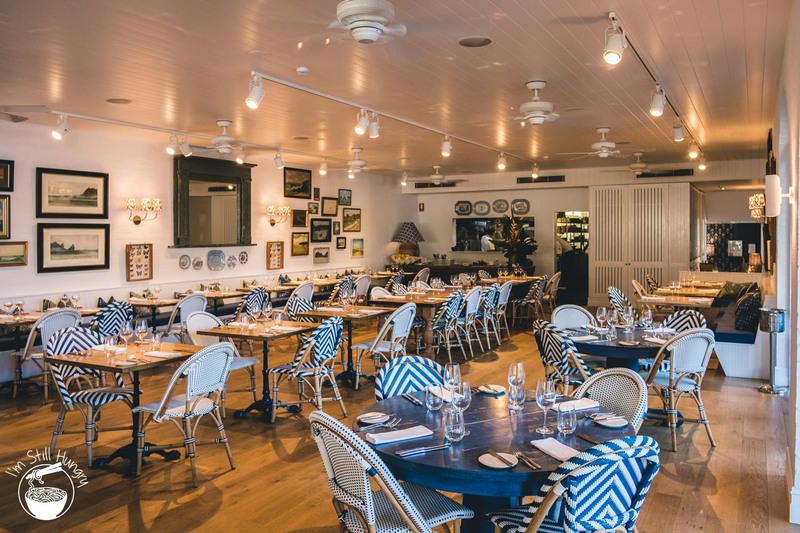 In any case, Paper Daisy is clearly a destination restaurant that’s worth the trip. In this case, it’s definitely about the destination, not the journey. The north coast of NSW? 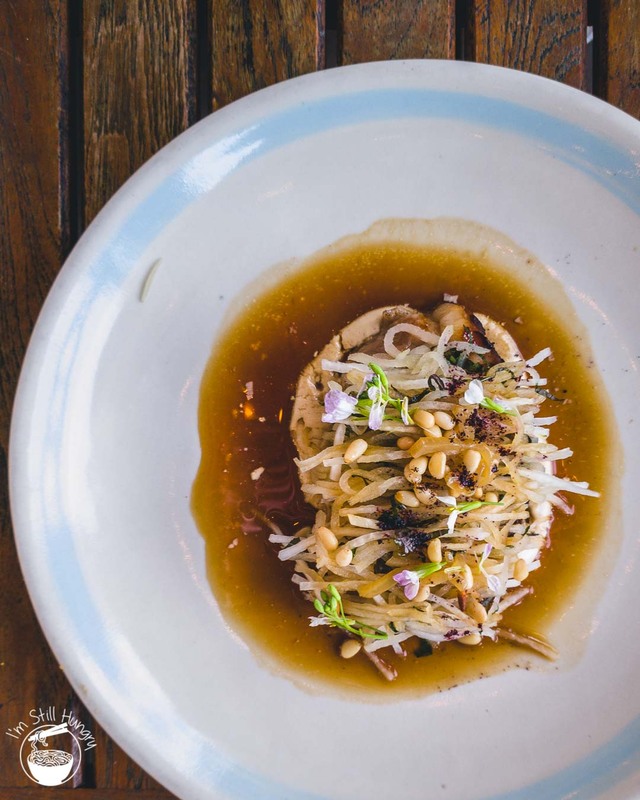 It’s not just for the surfers: it’s for the foodies too.